If You Believe Jay-Z Is In The Illuminati Well This Is Really Going to Blow Your Mind! It is incredible how things work out. 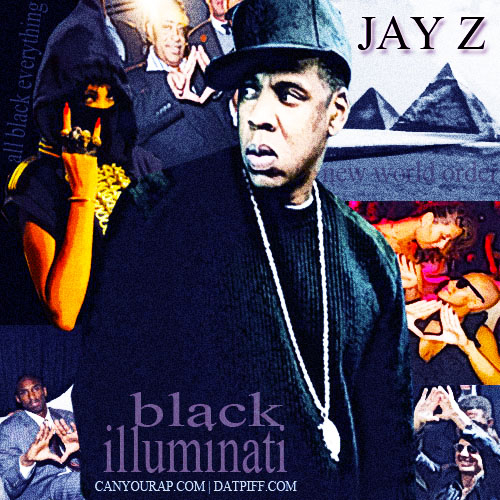 A growing amount of people have started believing that artists such as Jay-Z, Kanye West, and Beyonce are members of a secret society called the illuminati. The large usage of occult symbology in the artists’ videos has only strengthened the accusation and rumors. Well conspiracy theorists are gonna love this new story. 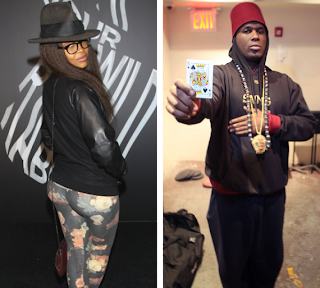 The gossip sphere has been buzzing about a bizarre union between an English socialite and rapper Jay Electronica. The Daily Mail reports that Kate Goldsmith, an heiress of the Rothschild banking family, and her husband Ben are getting a divorce because of Kate's alleged affair with Jay Electronica. Reports say that her husband Ben found explicit text messages and emails between Kate, a producer, and the up and coming rapper. The story is so surprising it almost sounds fake, however it has been reported by the Daily Mail in the UK, Mtv, and various other sources. Their marriage was described as the perfect union – a marriage that brought together two of the country’s wealthiest families. He was the multi-millionaire son of the late financier and tycoon Jimmy Goldsmith, she a descendant of the Rothschild banking dynasty. 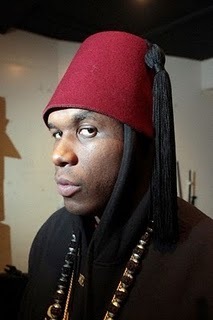 Now Ben Goldsmith and his music producer wife Kate, who have three children, are set to divorce after she embarked on a passionate love affair with an American rap singer named Jay Electronica. The Rothschild’s family is one of the wealthiest families in the world. Estimates of the family holdings have their worth upwards of $500 Billion. They control the money for the Vatican treasury system and own major banks across the world. Mr Goldsmith inherited an estimated £300million after the death of his father, who built up a £1.2billion fortune. Kate inherited an £18million fortune after the suicide of her banker father Amschel Rothschild. The Rothschild and Goldsmith families are both members of the alleged 13 family bloodline that are in control of the modern day illuminati. They only intermarry within their family lines to keep the money within this tight circle. 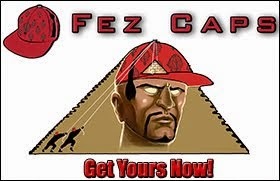 As If The Jay-Z Illuminati Implications Weren't Weird Enough, This Makes It Even Stranger! As crazy as this all seems the situation has actually gotten wilder. Kate and her husband Ben have actually taken to public platforms such as Twitter and Instagram to post messages about each other. It appears that a messy situation just got uglier. Recently Erykah Badu, Grammy award winner and mother of Jay Electronica’s child, tweeted a message congratulating Jay Elec admist the drama. Allegedly Kate’s affair with Jay Electronica, whose name is Timothy Elpadaro Thedford, has been going on for close to a year. Electronica, 36, who is signed to Kate’s record label Round Table, was born and raised in the violent crime-ridden Magnolia Projects in New Orleans, Louisiana. Electronica keeps a relatively low profile in London but works with some of the industry’s biggest talents, including Jay Z and Sean ‘P-Diddy’ Combs. He is also friends with heiress and socialite Nicky Hilton and regularly tweets Kate’s brother James Rothschild. Sources say the Rothschild and Goldsmith families are appalled by the entire situation. According to UK papers Kate can expect to be shunned by the Goldsmith clan as well as part of her own family, the Rothschilds. The affair is eerily similar to a previous scandal involving Kate’s great aunt, born Pannonica Rothschild, who became Baroness de Koenigswater. The story started in 1948, Nica, as she was called, became infatuated with a then unknown black jazz pianist, Thelonious Monk, after hearing a recording he had made of Round Midnight. Nica abandoned her husband and five children, moved into a hotel suite and searched for Thelonious. She found him in 1954 and devoted the next 28 years to him until his death. This is a win win for Jay Elec. He should name his new album Black Illuminati to take advantage of the hype. On May 15 Jay-Z said that a Elec’s new album was on the way . 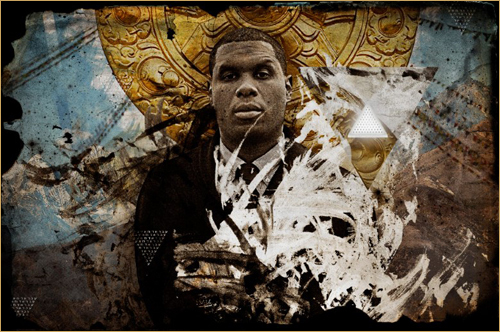 Jay Electronica has been signed to Jay-Z's Roc Nation since 2010. This would be the perfect time to announce the release date (and release a video with plenty of occult symbology, wink wink). 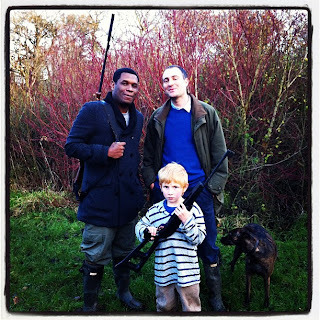 Jay Electronica is (or was) friends with Kate and her husband Ben. Check out the buddy photo below of Jay Elec and Ben Goldsmith hunting together with Ben’s son. Don’t buy into the hype! Things could appear as they seem but honestly this whole event could be orchestrated. For all we know Ben Goldsmith set this whole situation up with Jay’s cooperation to get a divorce from his wife without having to split the assets down the middle. 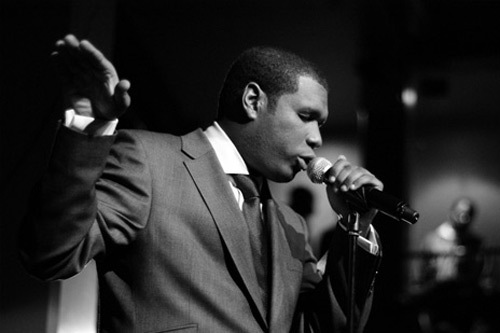 Jay Electronica is signed to Kate’s production label, Roundtable Records. Anyone with Jay Elec’s music stands to benefit tremendously from hype and increased interest in his music. Even bigger though, what if both Kate and Ben orchestrated this. Either way much props to the moor Jay Electronica!